As summer is nearing closer, it’s time to focus on your well-deserved time off. 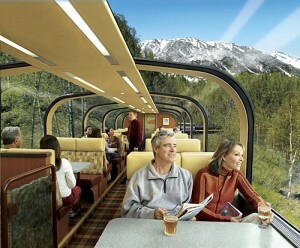 Have you ever experienced an Alaska vacation aboard our glass-domed rail cars? 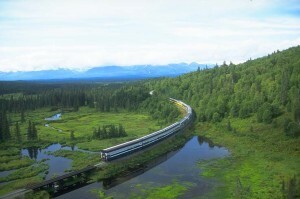 Princess Alaska rail tours effortlessly combine luxury accommodations with unparalleled views of back-country Alaska. Choose from a variety of two- to four-day itineraries, and book the perfect train tour now! Let our experienced guides and friendly staff make your Alaska vacation the highlight of this summer as you experience rail travel in Alaska. When you travel by rail, you’ll be treated to spectacular sights of the Alaska Range, scenic Matanuska Valley and the 914-foot-long bridge that spans Hurricane Gulch. Enjoy many geographical, historical and architectural wonders that are only visible by rail. Be delighted by 180 degrees of scenery from our glass-domed rail cars; or, if you prefer to be outside, you can take in the scenery on one of our observation platforms. It is without question that Alaska is one of the most beautiful places on Earth, and it’s even more captivating when you’re able to understand the history behind the state that has been dubbed the Last Frontier. Our knowledgeable rail guides offer in-depth narration highlighting the history of this famed rail route while pointing out scenery and wildlife along the way. You’ll also be able to track your journey for fun with our onboard Global Positioning System (GPS). When you choose to travel with Princess, you can put the map to the side and focus on what you came to see – Alaska! Experience delectable Alaska cuisine or relax with a pint of local Alaska brew, and leave the logistics to us. Also, when the train drops you off at the Mt. McKinley Princess Wilderness Lodge or Denali Princess Wilderness Lodge, you’ll be pleasantly surprised at the quality of lodging that Princess boasts, even in some of the most remote parts of Alaska. On the rail, you’re able to cover more land in less time and see more of the state on a smaller budget. Make the most of your hard-earned money by taking advantage of our summer rail specials. If you book now you can save up to 50 percent on select rail packages.